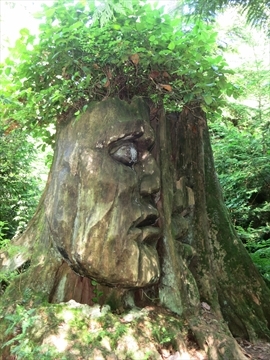 A lot of people don't realize that there is a bunch of art in Stanley Park. 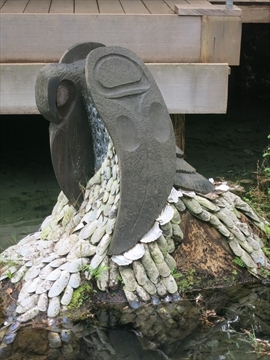 Some of the art (Killer Whale) is done by world reknown artists such as Bill Reid, and other art (Two Spirits) by anonymous artists. 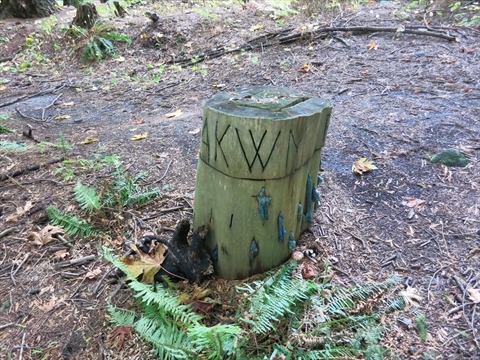 There is also some unique environmental and ephemeral art that was done in the park. These environmental and ephemeral are meant to disintegrate over time and return to nature! There are some artists that produce and sell their artwork in the park also. You can find them on the English Bay Seawall, at the Painter's Circle and outside the Vancouver Aquarium. 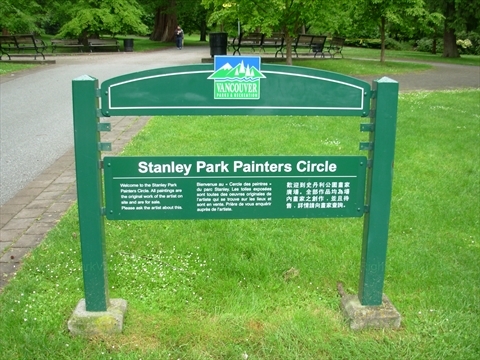 We recommend that you explore Stanley Park and find all the art like we did! 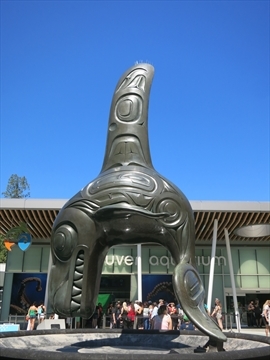 Chief of the Undersea World is a large bronze statue at the Vancouver Aquarium created by the famous Haida artist Bill Reid. The Two Spirits artwork is a piece of guerilla art. Nobody has claimed responsibility for making this art. 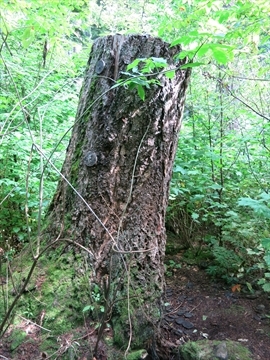 It is nestled in the forest near Second Beach. We have some of the only photos of this artwork on our website and will tell you how to find it! 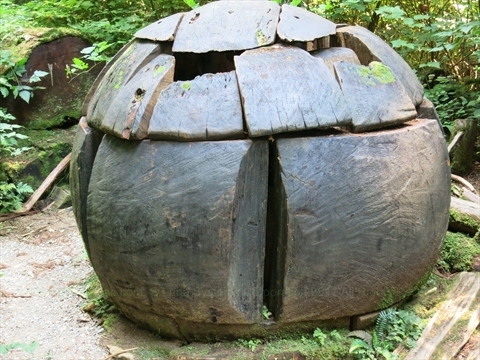 Cozy was a piece of "environmental" art that was created in 2009 by artist Shirley Wiebe. It was a tree stump covered with woodend disks that were woven together. Being "environmental", it was meant to disintegrate over time and go back to nature. 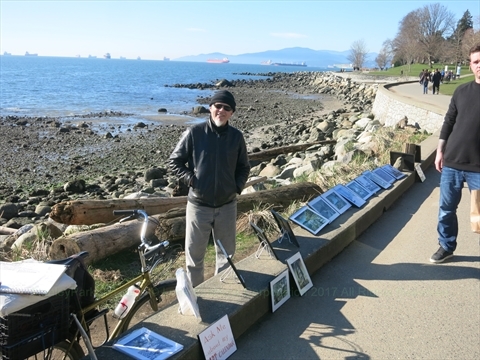 Peter Berg is a pencil artist that displays his work on the seawall at English Bay. He has amazing drawings! 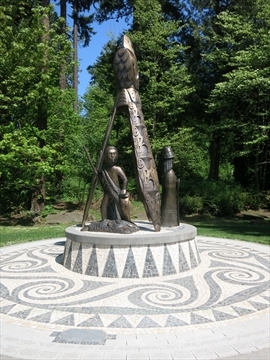 Listen is a piece of environmental art in Stanley Park. 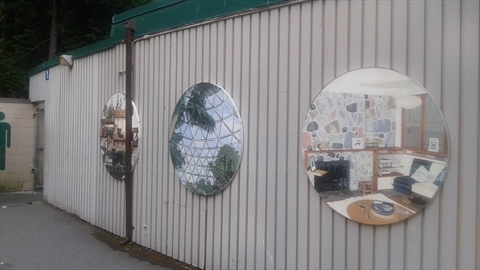 These are 3 circular murals that represent interesting British Columbia historical architecture. 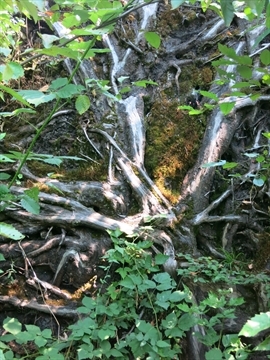 Entwined is a piece of environmental art in Stanley Park. 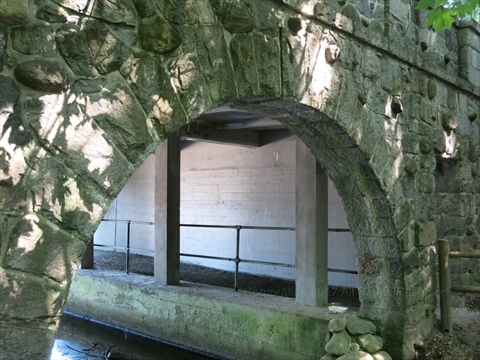 Fringe is a piece of ephemeral art in Stanley Park. 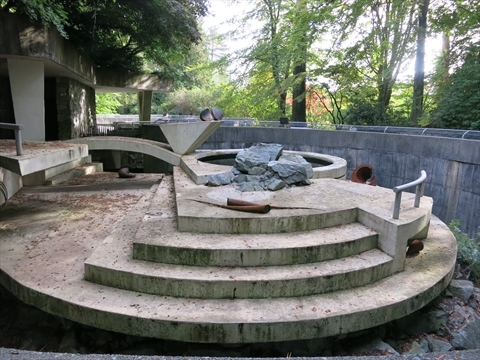 Hibernators is a piece of ephemeral art in Stanley Park. 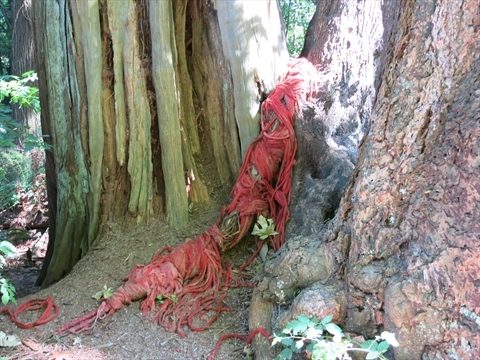 Birth is a piece of ephemeral art in Stanley Park. The Painters Circle is an area just north of the Information Booth and is a place where artist produce and sell paintings.